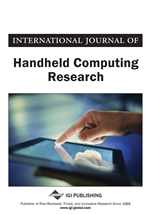 This study develops a model to assess the consumer acceptance of Camera Mobile Phone (CMP) technology for social interaction. While there has been considerable research on technology adoption in the workplace, far fewer studies have been done to understand the motives of technology acceptance for social use. To fill in this gap, the authors develop a model that is based on the theory of the technology acceptance model, the theory of reasoned action, the attachment motivation theory, innovation diffusion theory, and the theory of flow. The first research methods used was a qualitative field study that identified the variables that most drive CMP acceptance and build the research model using a sample of 83 consumers. The second method was a quantitative field study, which collected from a sample of 240 consumers in Kuwait in order to test the model. Results reveal the “social use” and “use before shopping” uses, explaining 32.3% and 30% of the variance, respectively. Most importantly, the study reveals that personal innovativeness, attachment motivation, and social norms have an important effect on CMP acceptance. The mobile phone industry is quickly growing to offer new services such as Internet access, games, digital camera capabilities, text messaging and mobile commerce (m-commerce). With the increasing number of mobile phones around the world (4 billion users in 2009, see The Mobile World, 2009), there is no doubt that the mobile services industry is aware of the factors leading potential consumers to adopt such services. The number of studies focusing on the effects and adoption of mobile devices over different cultures has increased over the last decade: m-commerce (Venkatesh & Ramesh, 2003; Lin & Wang, 2003; Hung et al., 2003; Lin & Wang, 2003; Cheong & Park, 2005; Nysveen et al., 2005a,2005b; Lin & Shih, 2008), mobile services in Norway (Nysveen et al., 2005a; Nysveen et al., 2005b), mobile phone use in Africa (Meso et al., 2005), use of mobile phones in academic libraries in Malaysia (Abdul Karim et al., 2006), m-learning in Korea (Kim & Ong, 2005), portable device assistant (PDA) adoption in the USA (Sarker & Wells, 2003; Yi et al., 2006), text message services in China (Yan et al., 2006), mobile Internet use in Japan (Okazaki, 2006), mobile payment (Dahlberg et al., 2008), mobile wireless technology adoption in South Korea (Kim & Garrison, 2009); mobile advertisements in Taiwan (Yang, 2007), and mobile entertainment (Ha et al., 2007). Although there are some studies that focus on the motives for using mobile devices and services, there are several unexplored dimensions related to our understanding of mobile services, such as CMP usage. The authors observed a lack of studies pertaining to CMP usage, with the exception of Yao and Flanagin (2006). Although Yao and Flanagin (2006) focused on the social aspect, they did not use a well known theoretical model as their base. This paper seeks to understand the motivational factors for the adoption of CMP in an Arab country for three main reasons. First, the Arab world has not received much research attention (Rouibah, 2008) and so Western researchers lack an understanding of how technologies are adopted in the Arab world. Second, the Arab world belongs to a collectivist culture where the motives to use technologies are primarily different than those in individualism cultures (i.e., most Western cultures) (Hofstede, 2009). Third, unlike past studies on technology acceptance, this paper will focus on actual usage of the CMP service for social use instead of the intentions to use in the workplace because very few studies have focused solely on social use instead of the use of technologies in the workplace (Nysveen et al., 2005a, 2005b; Li et al., 2005; Rouibah, 2008; Rouibah & Hamdy, 2009; Lu et al., 2009; Fang et al., 2009). The remainder of the paper is structured giving a literature review, discussing the research model and hypotheses, describing the research methodology, presenting the analysis with results pointing out the managerial implications and future research directions. Finally, we conclude the paper.